For today’s Navratri Pooja, it’s second day for Goddess Lakshmi. 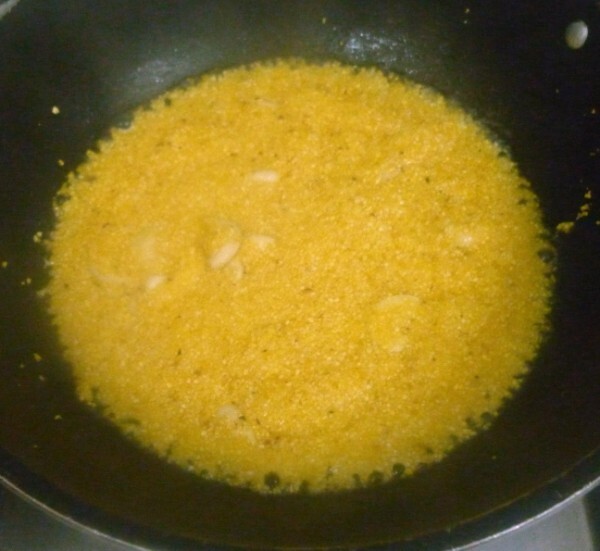 It has to be a Kesari, so I made a kesari with Corn Rava and Palm Sugar / Panang Kalkandu. 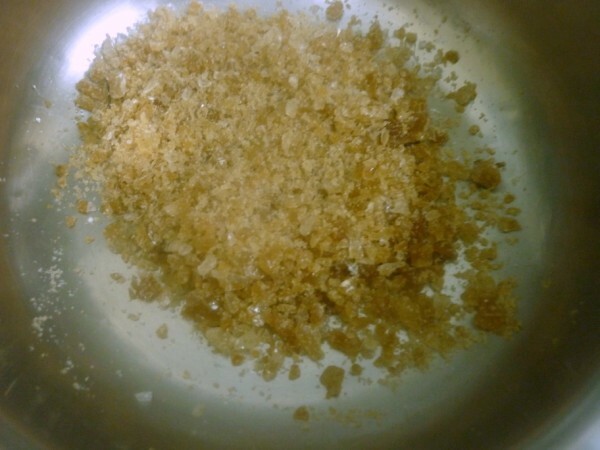 Palm sugar can be used as alternative to white sugar. 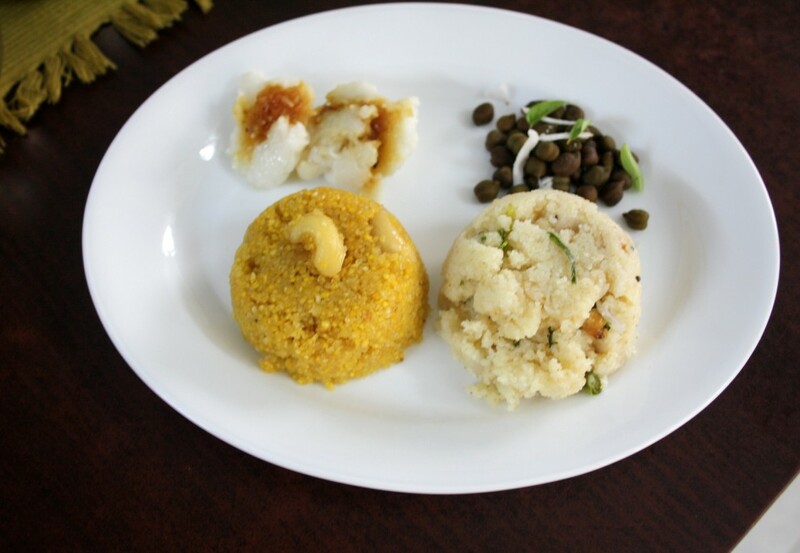 Unless you are told that the kesari is made using Palm Sugar, you won’t really find much difference in taste. 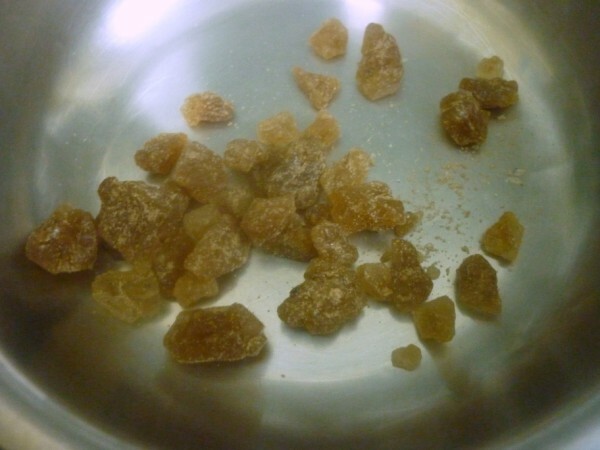 PJ has a wonderful post on what Palm Sugar is all about. 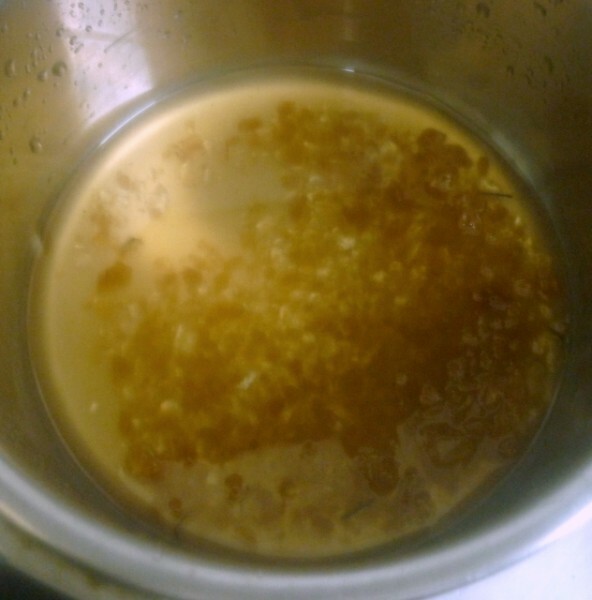 Since I have made Kesari with all possible grains/ingredients, seeing the corn rava got me thinking that I could make kesari with it and use Palm sugar instead of refined sugar. For the Sundal, we made with dried Green Channa, with simple tempering. Since today is Friday, Lord Ganesha is also invoked along with Goddess Lakshmi. To please Lord Ganesha, nothing can please him more than Kolukattai with Coconut purnam. So today’s prasadam was Corn Rava Kesari with Palm Sugar, Green Chana Sundal and Kolukattai. 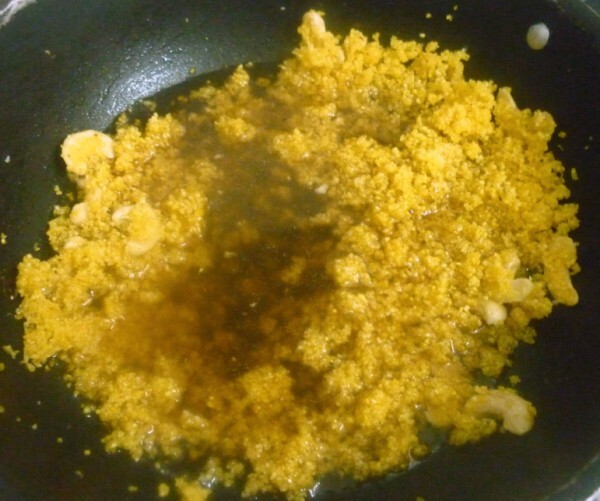 Pound the palm sugar and melt with enough water. Once melted, remove the scum if anything found. Keep it aside. 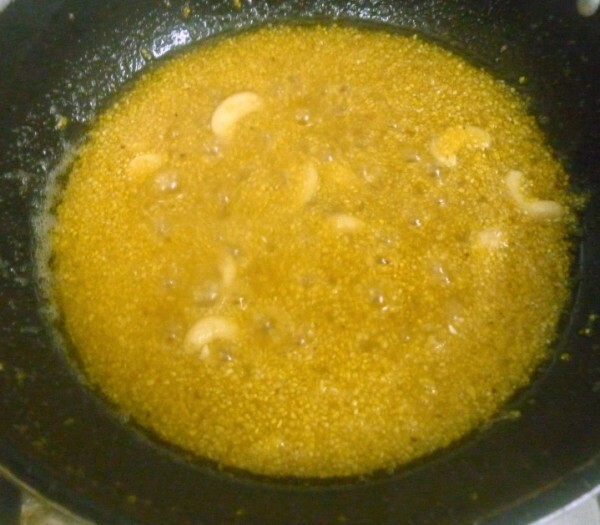 Heat a pan with ghee with cashew nuts, then add the rava. Saute well. 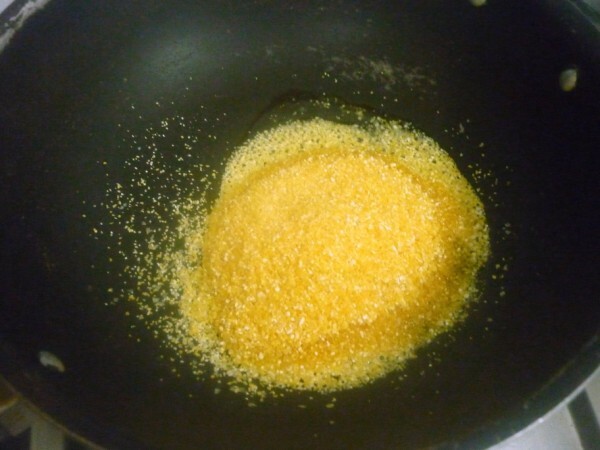 Add melted palm sugar to the pan and bring to boil. Pressure cooking the corn will make the task of cooking this easy. 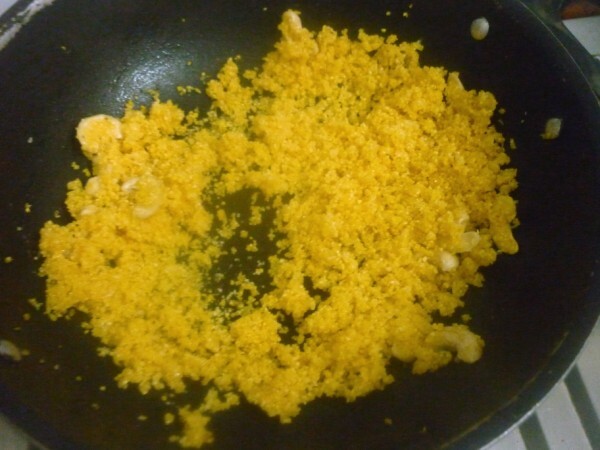 First I had cooked it directly, though the kesari got cooked well, it got dried up fast with the corn kernels getting dried up. So I had to microwave it for 10 mins with 1 cup water. 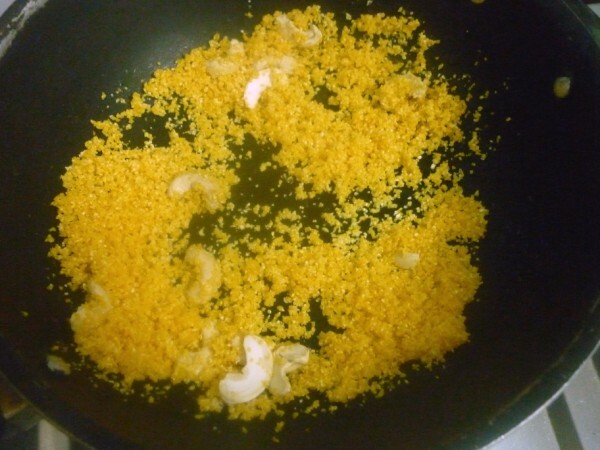 So if you Pressure cook the corn kernels, this is very easy to get done. Soak the dried green chana overnight and pressure cook till done. Then temper the boiled chana with the tempering ingredients. Happy Navratri !! 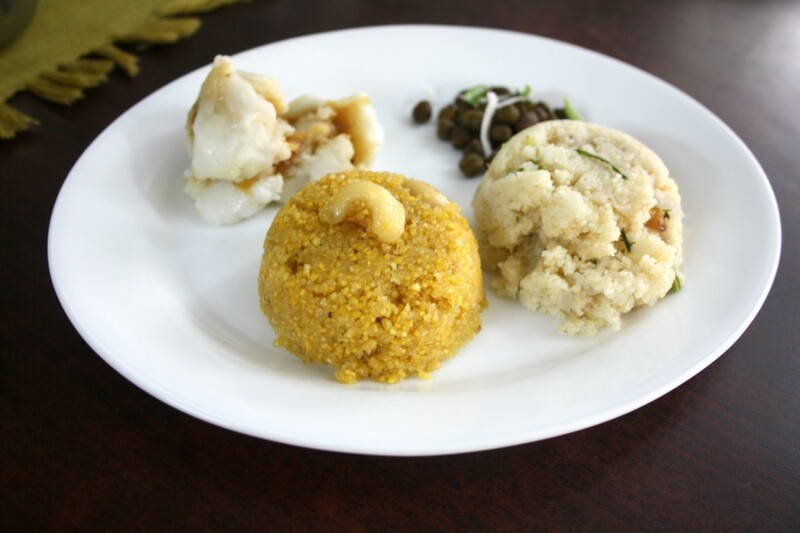 The kesari looks delicious. Have never used palm sugar, it sounds very interesting!! happy navrathiri!..thats was healthy n superb idea! This was a wonderful twist Valli. I to recently bought corn rava and used it in place of the.usual. The change in flavour was a welcome.one. 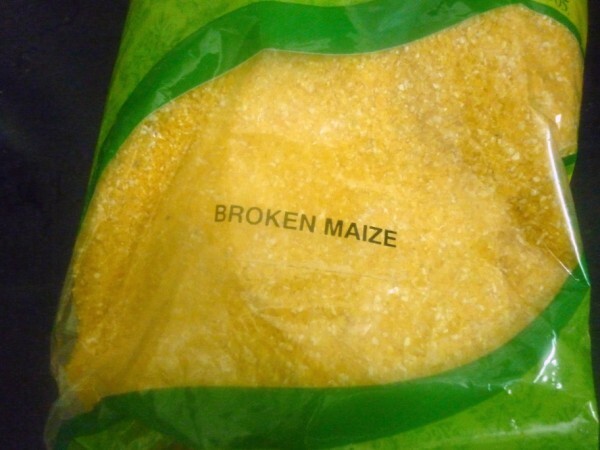 Just wondering, will we get corn floor if we.fine grind the.corn rava?? Nandini, Yes I was happy seeing this rava. 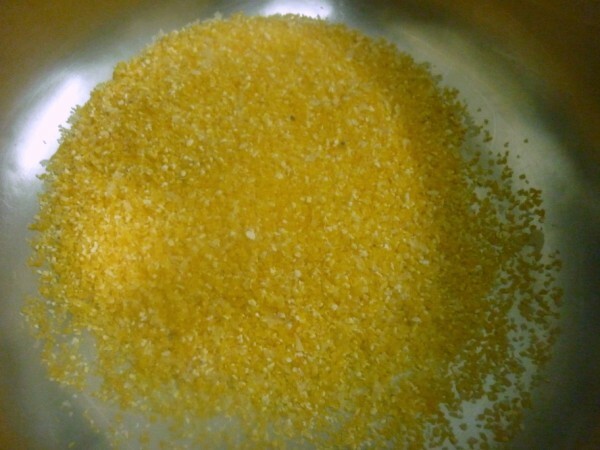 We get the corn flour that's ground from this in Nilgris. You can also do that yourself.